Make every look elegant with this petite pendant, its simplicity and timeless design emulates a classic feel, the perfect gift for all occasions. 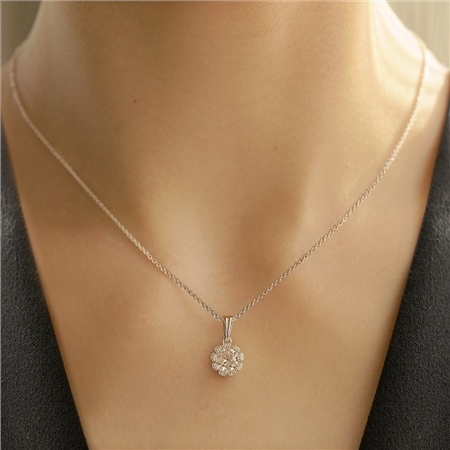 Silver plated floral design pendant with a protective anti tarnish layer, clear Cubic Zirconia stone setting, presented in a Newbridge Silverware gift box. Product dimensions pendant 10mm x 5mm chain 410mm plus a 50mm extension.